In the aftermath of the killing at Sandy Hook Elementary School in Newtown, Connecticut in December 2012, a group of church members and friends came together to work on gun violence prevention and gun safety promotion in 2013. 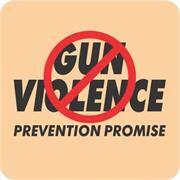 We named our group Gun Violence Prevention Promise, a working group of UUCSC. Require all firearm purchases – both handguns and long guns – to undergo a National Instant Criminal Background Check System (NICS) check. Reduce the risk that gun buyers might avoid a background check by claiming to simply be borrowing the gun for an open-ended amount of time. Help prevent dangerous individuals from circumventing the laws on the books and obtain deadly weapons. Implementing universal background checks is supported by an overwhelming majority of Americans and gun owners. It was placed on the Senate calendar on March 4th but so far the Majority Leader has refused to bring it up for debate or a vote in the Senate. What we can do: Contact Senators Feinstein (http://www.feinstein.senate.gov. 202-224-3841) and Harris (http://www.harris.senate.gov. 202-224-3553) and urge them to pressure Senator Mitch McConnell to bring the bill up for debate. For additional details contact us. Increase the age for buying guns from 18 to 21. Reduce magazine clips to 10 bullets. We encourage our congregation to get involved. Come to our monthly meetings usually held on the third Sunday after the service in the World Room. Join us on Facebook to stay informed of our progress in promoting Gun Safety. Or contact us at info@uustudiocity.org.